FOR THE FOURTH TIME! IT IS BACK AGAIN! For three consecutive clean-ups along with the different schools and youth organizations, we had succesfully gathered a huge number of kilograms of trash from the ocean, now it is your time to join us. Be counted. Be involved. Be part of the solution! 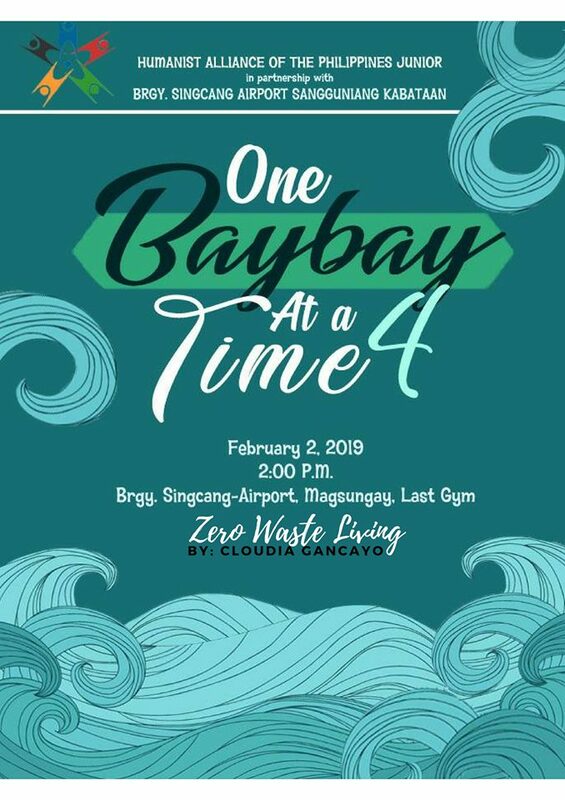 The 4th wave of the coastal clean-up will be at Magsungay, Barangay Singcang-Airport, Bacolod city this February 2, 2019. In line with January as Zero Waste Month, we will have Ms. Claudia Gancayo to talk about Zero Waste Living at the same time.